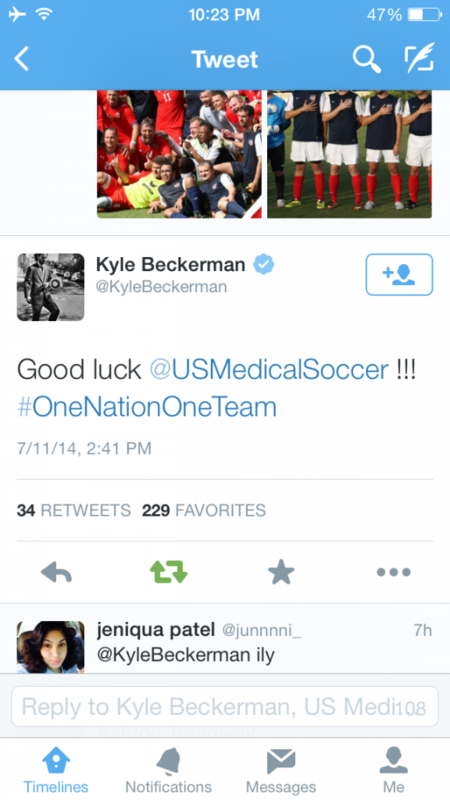 Kyle Beckerman of the US Mens National Team sent out this tweet in recognition of the US Medical Soccer Team while we competed in the 2015 World Medical Football Championships in Natal, Brazil. Needless to say, it inspired us and words can’t express how honored we were that Kyle took time out of his busy soccer routine to recognize our group. Thanks a million Kyle! You made us proud this year on the pitch in Brazil! !